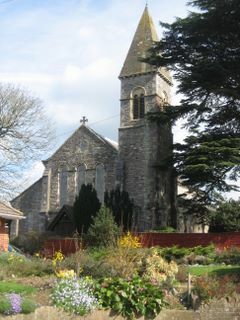 In St Paul's Church, Staplers Road, Newport, Isle of Wight, PO30 2BZ. St Paul's Church is Listed Grade II. Since the War Memorial forms part of the fixtures of the Church, it is assumed to be covered by the Listing. 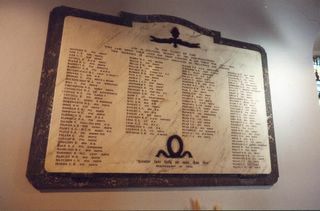 A marble plaque in the church, measuring 6 ft by 4 ft 3 in. Outline designs were by Mr. C. Dodsworth; the plaque, of St Ann's marble, was supplied and fitted by Messrs. Garrett & Haysom of Southampton at an estimated cost of £118. WHO LAID DOWN THEIR LIVES FOR THEIR COUNTRY IN THE GREAT WAR 1914-1918. "Greater Love hath no man than this "